My first time witnessing the magic that is Spoon live was approximately two years ago when they played Forum Theatre. It's now 2017, they recently dropped their new album Hot Thoughts, and they're at a different venue (this time, it's Croxton Bandroom). And though things have changed since they were last here, there are things that have remained the same — whether it's the way they capture an audience wholeheartedly, or the fact their fans are still as dedicated as ever. They opened their set with the title track from their new album Hot Thoughts. Shout out to the guy standing somewhere near me when he said 'this is giving me Hot Thoughts', nice one buddy. I mean, it was probably giving most of the venue hot thoughts. 'WhisperI'lllistentohearit' helped transport the audience early on in the set. There's something very seductive about this track (probably all them hot thoughts y'all. I promise I'll stop). If you thought this one was smooth on the record, you just wait if you ever see it live, it's incredible. 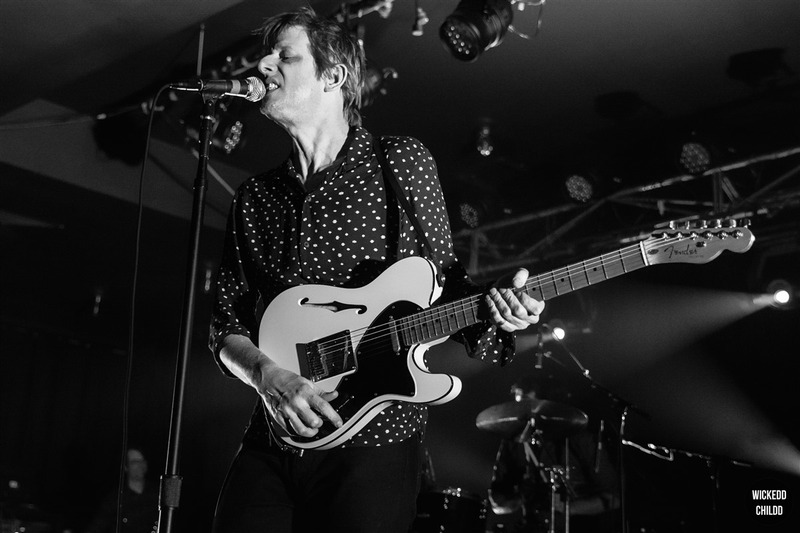 Spoon then took us all the way back in their discography to 2015, and played one of my personal favourites 'I Turn My Camera On'. Admittedly, they're not the biggest talkers on stage. I mean, not that it's an issue, punters pay to see good music, not a comedy show. But I probably would have liked a little more on-stage banter. One of their most memorable talking cuts from the night was when they were trying to work out which venue they played at last time they were in Melbourne (it was Forum!). It took them a few minutes, but they got there in the end. I can't write this review without mentioning 'Underdog'. Even 11 years later after releasing the song, it still brings so many varied emotions to different audience members — for me it's goosebumps, for others it's sheer excitement and awe for one of their best creations. They finished the main part of their set with 'Rent I Pay' from their 2014 album They Want My Soul, exhibiting incredible energy. We weren't ready to leave yet, and thankfully nor were they. The encore included 'I Ain't the One' and 'Got Nuffin'. Also in the mix was 'My Mathematical Mind', which was a weird choice if you want me to be completely honest. I feel like this song would have been better suited for the opener. Spoon did it again. In over an hour and a bit, they proved why they are one of the best indie rock bands around right now, and I can't see them losing steam anytime soon.